With its manicured roadside gardens, hefty price tags and lack of suspicious street smells, Singapore is more like the South East Asian version of Sydney. But maybe that’s why Australians love the city… It’s Asia without grit. No Bintang singlets here boys. This city oozes wealth, fashion and austerity. Don’t worry though, Birkenstocks are cool now and with all the walking you’ll be doing, you’ll be glad they are! Watch the sun go down and cheers your travels with a cocktail at one of Singapore’s best rooftop bars. 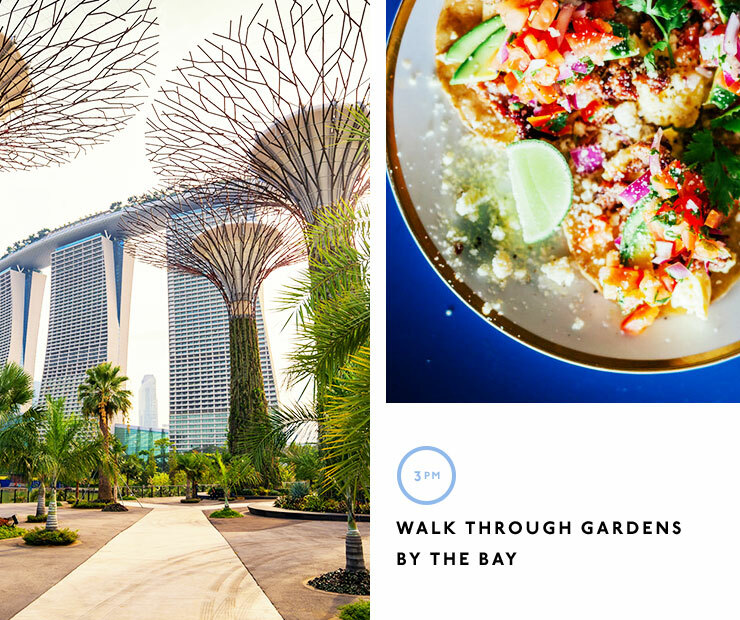 Flight Bar and Lounge at Marina Bay Sands will give you a lay of the land, LeVeL33 holds a microbrewery inside, Lantern in the Fullerton Bay Hotel for something a little fancy or the rooftop at Potato Head Folk for a touch from home are among the current stands outs. 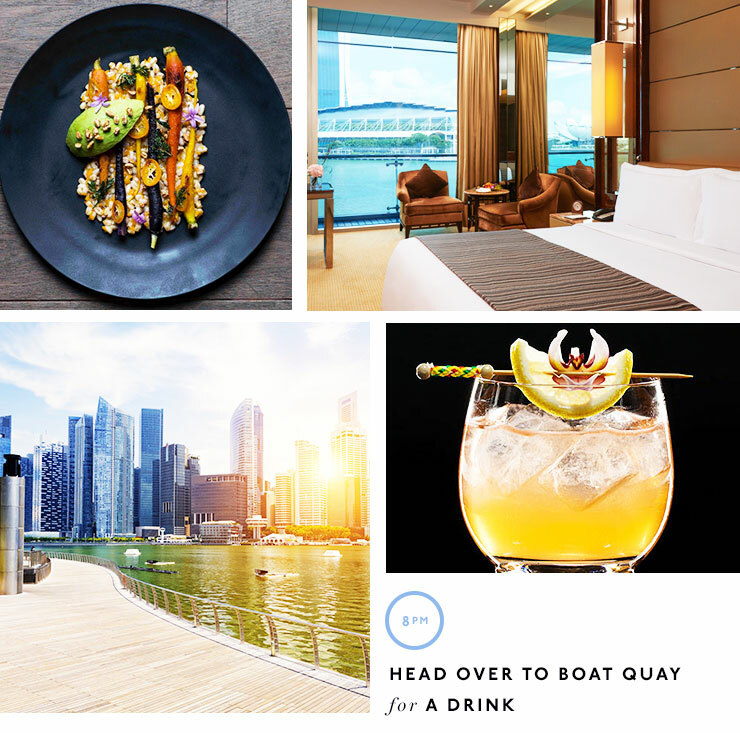 Head over to Boat Quay and choose among the many bars and restaurants for dinner and drinks then pop your bathers on and cool down in your hotel pool. 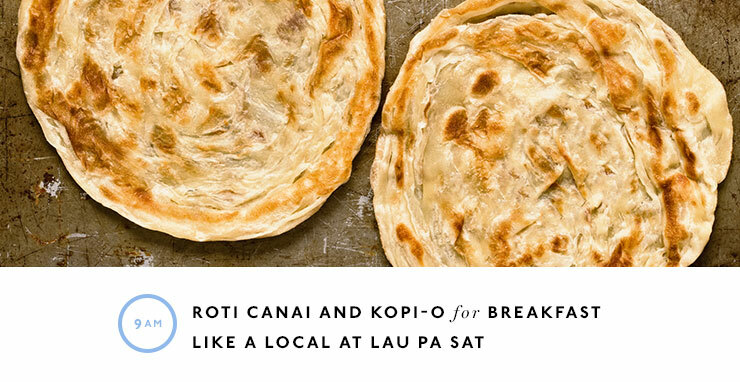 Roti Canai and kopi-o for breakfast like a local at Lau Pa Sat. Remember hawker 101: Don’t be shy, you've gotta be in it to win it. Be adventurous and try lots of different things. See a line? Go to it and follow what the locals are doing. There’s a line for a reason right? Buy a selfie stick and wander through Arab Street and Haji Lane. Once your feet feel hot and bothered, go get pampered at The Nail Social, a social enterprise training and employing local underprivileged women. Jump in a cab and head over to Din Tai Fung for lunch on Orchard Road. Michelin starred Xiao Long Boa for a few dollars = win. Walk off your over consumption of dumplings by shopping your way down Orchard Road then cool down with a $1 ice cream sandwich from a street cart. 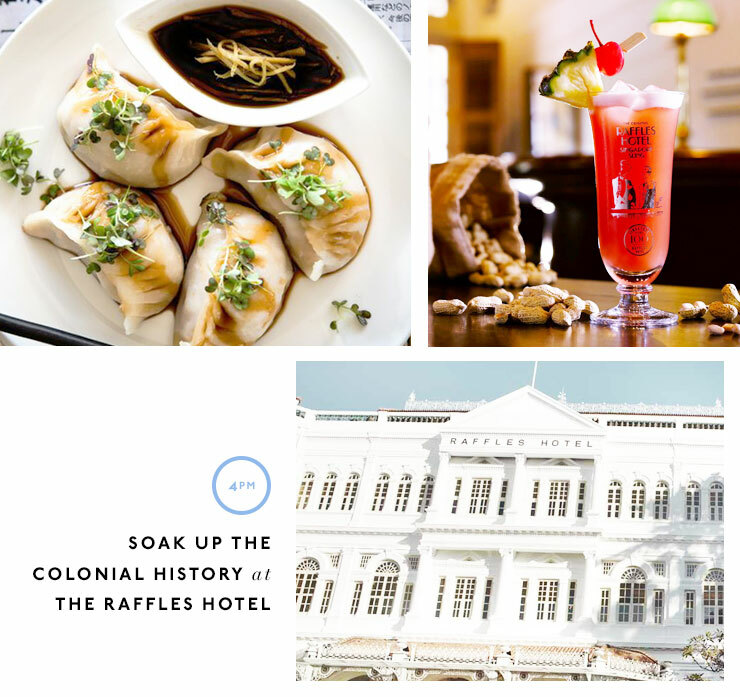 Soak up the colonial history with a Singapore Sling and too many free peanuts at The Raffles Hotel. If the afternoon downpour of torrential rain has stopped, wander through the stalls at China Town and just because you’re in Singapore, find the strength to eat again and grab some sate, chicken rice and beers at Maxwell Hawker Centre. Craft beer snobs go get lost in the upstairs maze that is Smith Street Taps. Make your way through Duxton Hill, marvelling at the old Singaporean architecture before hitting Club Street. Pretending the Singaporean dollar is monopoly money, dance the night away at the many rooftop and street bars. Casually start your morning with an Australian hangover breakfast and flat white at Forty Hands Coffee in Tiong Bahru then stroll through the market. Before you head to Sentosa Island, stop on the way at Bath Culture Foot Therapy for a cheap massage then get back in that cab for some Universal Studio action. Not into the rides? Singapore Zoo prides themselves on having the cutest pandas. Walk through Gardens By The Bay and if you can get access, the infinity pool at Marina Bay Sands. It’s the closest thing you’ll get to being in Kevin Kwan’s Crazy Rich Asians and will be a sure 100 likes on your Instagram page out of pure jealousy. Time for one last meal? Dine at one of Singapore’s best for your last night in town. Burnt Ends, Mozza, Camp Kilo, Gemmils, The Flying Squirrel, Lucha Loco, Meat Smith and last but not least, Esquina are among the personal favourites. Squeeze in one last tourist activity along the Promenade at Marina Bay for the Wonder Full Light Show that would make even Muse green with envy. Still need a reason to go? Book your ticket around Singapore Grand Prix Formula 1 Night Race. Who cares about the cars, they had me at Kylie, Robbie, Queen and J Lo. Need an Australian flat white? Common Man Roasters, Punch, Sarnies, Ronin Cafe, Group Therapy, Toby’s Estate or Artistry Cafe have got you covered. Got the travel bug? Check out how to spend 48 Hours In Paris.